We support the strategic direction of our clients through analysis, implementation and improvement of Supply Chain business processes based on SAP ERP and SAP SCM. Strategy. BPSE Consultants understand how important it is to consider your key business drivers, risks, resources, total lifecycle costs as well as current issues. Analyzing your business strategy, objectives and challenges are an integral part of our consultative approach, ensuring your projects remain relevant and deliver you maximum value. Assessment & Analysis. SAP related activities and projects are expensive and time-consuming, yet critical in ensuring reduced costs, reduced risks and success for your projects. BPSE Consulting offers you a wealth of experience, methodologies and tools to rapidly and accurately analyze your SAP system to provide accurate and unbiased results that will accelerate your SAP activities, whilst reducing time, resource requirements and costs. Discover Potential Opportunities. Using a facts-based approach, we can quickly and easily discover opportunities that provide you with the necessary information to successfully plan your SAP lifecycle events. Operation. Measuring and controlling your SAP solutions is vital to ensuring continuous improvement and reduction of your Total Cost of Ownership. BPSE Consulting enables you to carry out and automate many of those tedious activities saving you time and money from the start. Project/Programme Management. Project Management forms an integral part of all SAP lifecycle activities and each activity needs to be embarked upon in a structured, measured and controlled way. BPSE´s application of proper project management methodology ensures delivery within your budget, on time, every time! 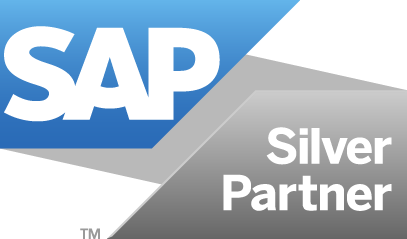 We also offer a SAP EWM Rapid Deployment Solution. This implementation service for SAP Extended Warehouse Management provides you with a fixed scope, fixed price implementation of core warehouse processes, enabling you to improve your supply chain operations and responsiveness through increased levels of warehouse productivity and efficiency, increased inventory accuracy and improved space utilization. See details in the SAP Store.